The SCCi and the Birmingham Water Works Board (BWWB) entered the Anderson Cave Preserve Cooperative Management Agreement in May 2007 to reduce unauthorized entry and potential liability of caves within its watershed. The person requesting the permit must be a current NSS or SCCi member. SCCi leases and manages over 1,300 acres of Johnson’s Crook in Dade County, Georgia. This permit is to hike the preserve and does not include any caves or camping. 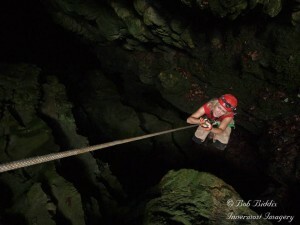 30 foot vertical entrance rappel with 1.5 miles horizontal passage. 142 foot entrance drop. Multi-level passage. Uniquely decorated. This permit is just for camping on the Daleo Preserve. Cave entry is not permitted under this permit. If you will be caving and camping, add this permit to your Daleo Cave Entrance permit. Camping in caves on SCCi property is strictly prohibited. 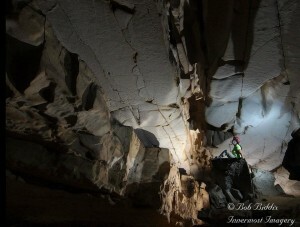 Roppel Cave is vast and complex, with over 95 miles of surveyed passage. Probably at least half of that length is within an hour of the Daleo Entrance. 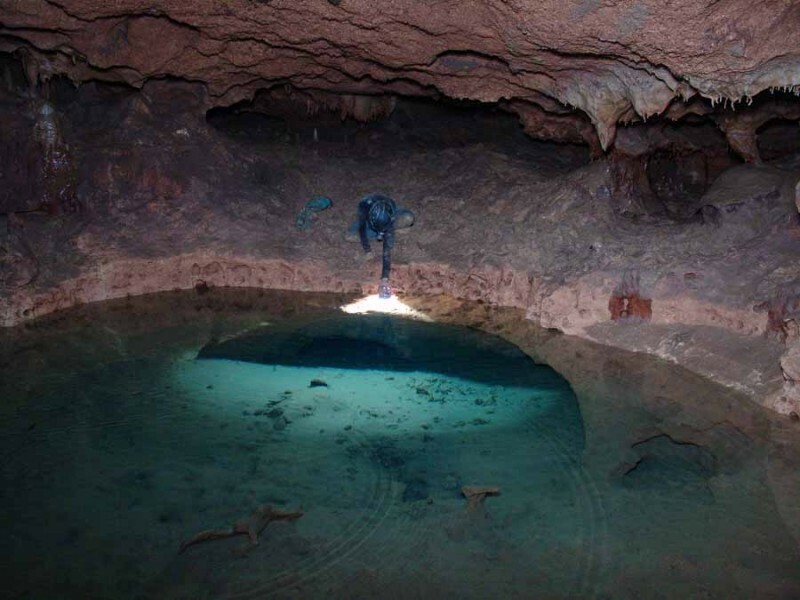 The cave is labyrinthine, with normally dendritic patterns obliterated by the complex hydrology of the cave. In many cases, standard intuitive route-finding does not apply. This permit is for hiking/exploring the surface only. Cave entry is not permitted with this permit. If cave entry is desired, the Daleo Cave Entrance site should be requested instead. PLEASE ALLOW AT LEAST 2 BUSINESS DAYS AFTER YOUR LAST RELEASE IS RECEIVED FOR YOUR PERMIT TO BE PROCESSED. Fern Cave is one of the most significant and fascinating caves in the Unites States. Fern Cave has five entrances. Four of these are on the Fern Cave National Wildlife Refuge (US Department of the Interior), and one (The Fern Sink, or Surprise Pit entrance) is located on property the SCCi owns. This permit is for surface access only. No cave entry permitted with this permit. Please allow 48 hours from the signing of the last release for your permit review. This permit is for camping only and must be added to another Fern permit. 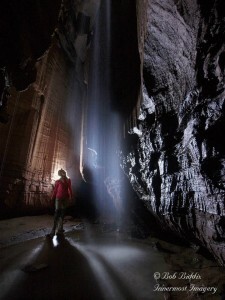 The Fox Mountain property is the SCCi’s largest and richest cave and karst preserve. 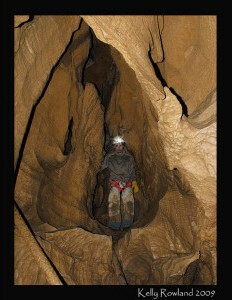 The area has a long history with cavers, and contains several of the finest caves in TAG...More information. This permit is for the Sunbeam Entrance to Hurricane Cave ONLY. The culvert entrance is owned by the State of Georgia and is closed. Frenchman Knob Cave is located in Hart County, Kentucky. It’s one of the deepest pits in Kentucky and has an interesting history. Noted cave historian Angelo George wrote an article about this cave, explaining that the hill where the cave is located got its name because a Frenchman [Gilbert LeClerc] was killed and scalped on top of it. The cave in on the top of the hill and is now called Frenchman Knob Cave. Fricks Cave Preserve in Georgia is the summer home for 10,000 endangered Gray Bats. The cave is closed year-round. Perrmits are issued for surface visits only. The pit is a 90' freefall. There is a V-shaped sink, with the open end of the V sloping down to the pit The sink is steep and may be slippery. Please take precautions when approaching the sink and when rigging rope to avoid falling. The bottom is essentially a single room with no passage. 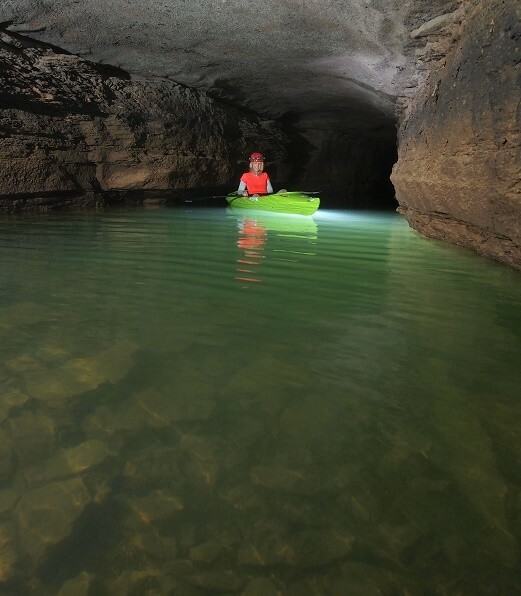 Gourdneck is an impressive, clean stream cave. 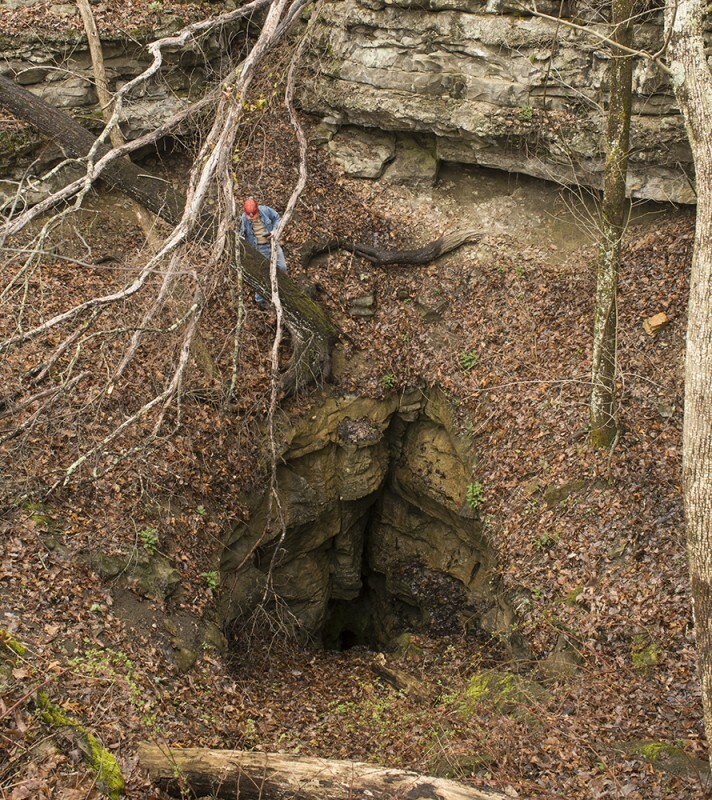 It carries the drainage from Honeycutt Cave, some 400’ vertical above the Gourdneck entrance. Currently there is no human connection. The entrance is a 32’ pit and requires rigging. Hollow Ridge Cave is a few miles northeast of Marianna, Florida, in a small hill that rises about 40 feet above the Chipola River flood plain. The cave has four entrances and a surveyed length of 3,370 feet, making it one of the larger caves in the area. It is formed at the contact between the Marianna Limestone and the Bumpnose member of the underlying Crystal River Limestone. The cave’s passages are a mixture of narrow fissures and muddy bedding plane crawls connecting several rooms. Many formations are found throughout the cave. The lower levers are subjected to frequent flooding. 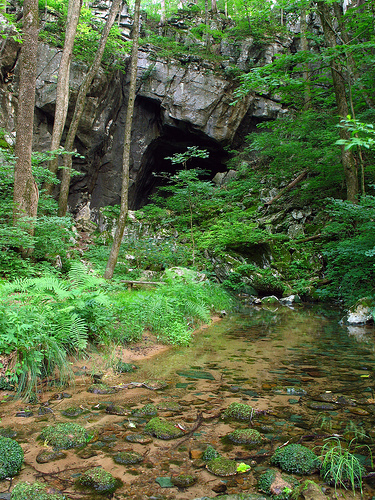 The Holly Creek Cave Preserve near Iron City, TN is managed as a natural area and wildlife sanctuary to protect and preserve its unique attributes, including an important summer colony of endangered bats. This permit is for accessing the Preserve only. No cave entry allowed on this permit. The Horse Skull Cave property is about 40 acres in size, and can be visited any time of the year. Horse Skull Cave itself is about half a mile long with some interesting climbs and crawls, and lot of Civil War-era historic features. Horse Skull Cave has a 30-foot pit entrance which requires vertical caving skills and equipment to descend. A 60-foot rope is needed to reach the nearest rigpoint. 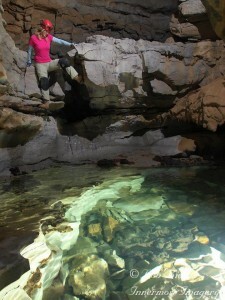 Howard’s Waterfall Cave is a nice, easy horizontal cave for novice and experienced cavers alike. 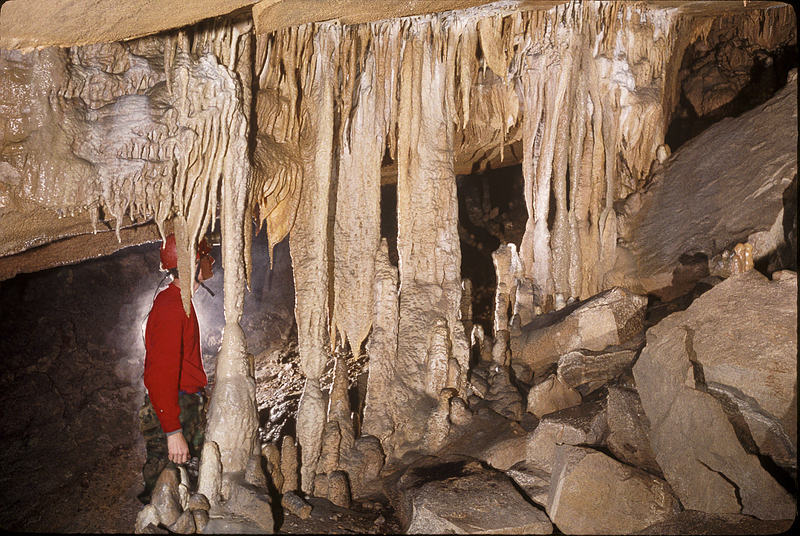 Re-mapping by members of the Dogwood City Grotto in 1987 doubled the length of the cave. The cave has been heavily visited for many decades, and has suffered abuse and vandalism, including spray paint on the walls and destruction of formations. 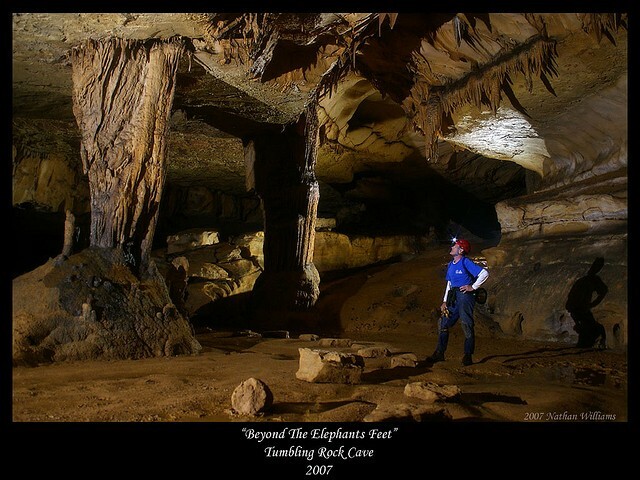 Jennings Cave is approximately 1200 feet deep with a 25' pit entrance. Detail: Multiple routes and directions through the cave can require vertical skills and gear. 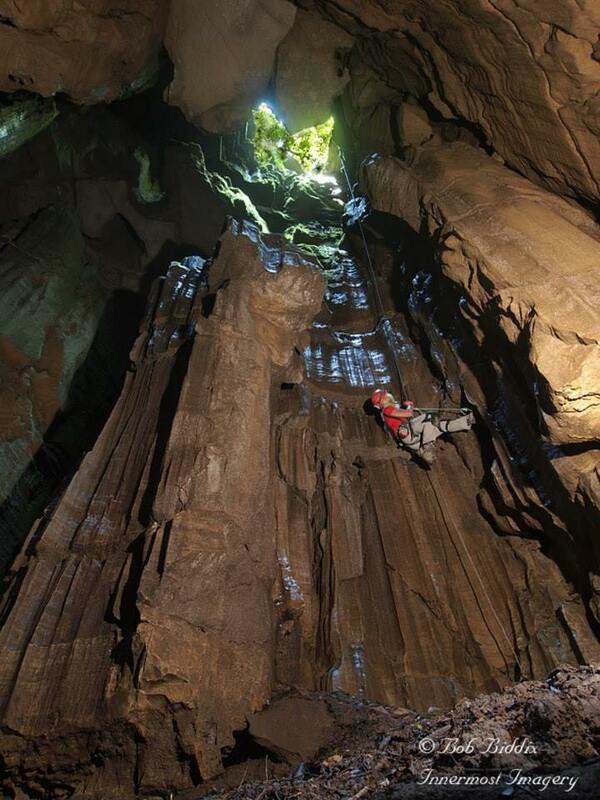 This makes for a varied caving experience. HIGH GROUND CLEARANCE VEHICLES ARE REQUIRED TO ACCESS THE PRESERVE. DO NOT PARK ON ROAD! Kennamer Cave is a beautiful stream cave that is a little over two miles long.The cave features an upper entrance with a very nice waterfall flowing into the cave...More information. Limrock Blowing is a three-mile-long stream cave with large walking passage, pretty rooms, and nice formations. Limrock is one of the SCCi’s most popular caves, and for good reason. This cave does flood in wet weather so be cautious when planning your visit. Lobelia Saltpeter Cave is a small but historically significant cave containing saltpeter works. The remains of a saltpeter water collection trough and wooden hand tools are the most significant artifacts found in the cave...More information. 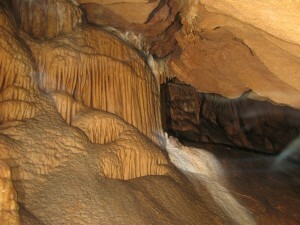 The property contains Logsdon Cave, a wet multi-drop cave. The entrance is a vertical shaft approximately 35 feet deep which enters a crawl to a series of 8 drops from 15 to 60 feet in depth...More information. 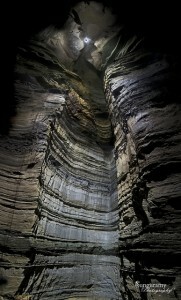 Neversink is a beautiful 162 foot open air pit in Jackson County Alabama. Long known and loved by caver explorers, the cave is considered by many to be the classic pit of TAG. Neversink requires considerable knowledge of rope technique both on the descent and ascent. Preserve Only Permit. No Cave Entry. 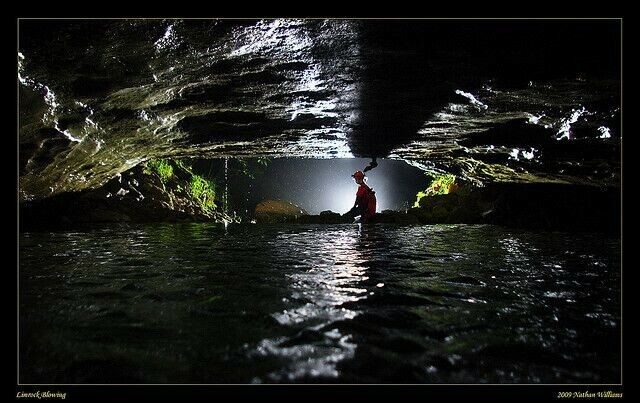 Rattling Cave was one of the earliest caves explored in the east Tennessee region by organized cavers. 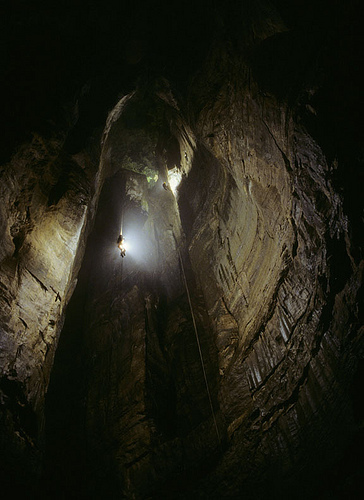 In 1949, William M. Morrison and eight others rigged ropes, ladders and pulleys for the 130-foot descent into the cave. 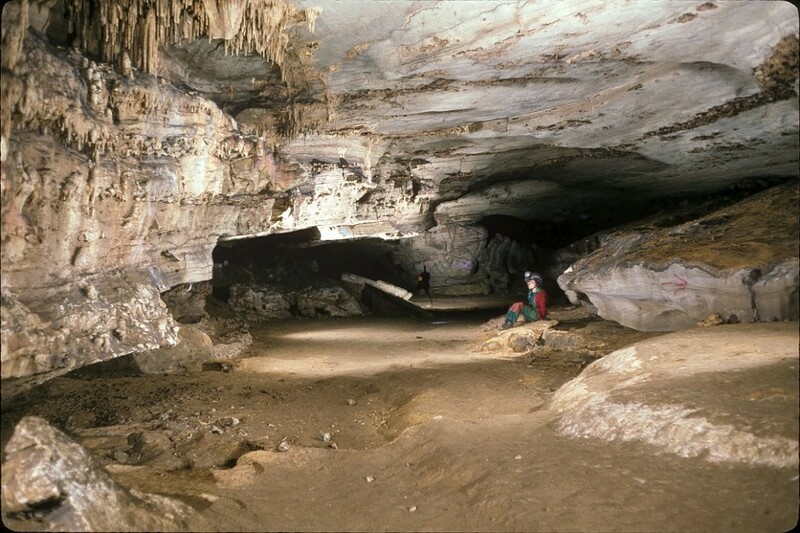 The cave has a number of attractive formation areas and contains an abundance of cave dwelling fauna including a sizable population of federally-listed endangered Gray Bats. Some 18,000 bats have been observed hibernating in the winter months. 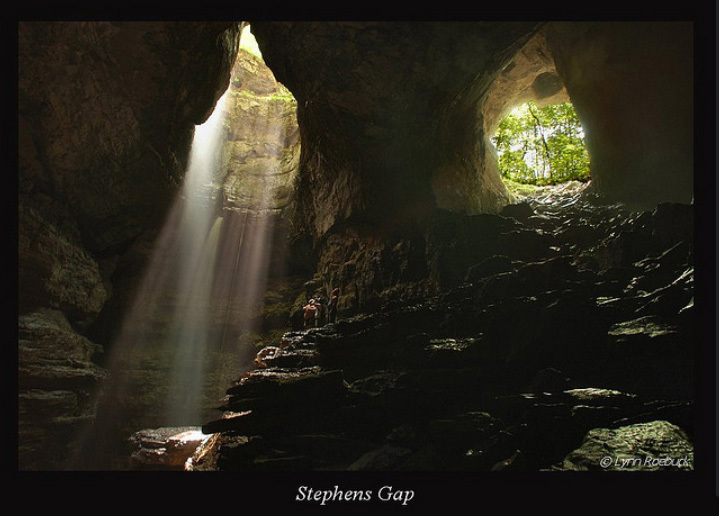 The cave was surveyed to a length of more than 2,000 feet by the Smoky Mountain Grotto in the late 1960’s, and extended by more than 500 feet by members of the Appalachian Grotto in the late 1990’s. This cave is a TAG classic, with a deep pit, miles of passage, and large borehole...More information. This is for camping on the Run To The Mill Preserve. Camping must be added to a Preserve Only or Caving Permit. This permit is for caving at the Sinking Cove Cave Preserve. If you are wanting to camp, please + a camping permit along with this permit. All areas are closed during gun-turkey hunting season, except for Sinking Cove Camp, the lower entrance to Sinking Cove Cave at the camp and the Boulder Entrance to Sinking Cove Cave. You are only authorized to walk on the trail up to the boulder entrance. You must not go to any other location on the preserve during gun season. Anyone walking out of the camp to go up to the Boulder Entrance, "must wear a orange hunting vest" at all times. You will have to take the vest with you through the cave if you enter at the Boulder Entrance you must exit at main Sinking Cove Camp entrance. Please advise everyone under your permit of these access restrictions. This permit includes access to Cave Cove Cave entrance only via the top of the mountain if needed. This permit is for camping at the Sinking Cove Preserve. Located near Sinking Cove, Custard Hollow Campsite is a site that will accomodate up to 12 campers. 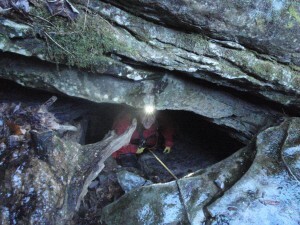 This caving permit is for morning entry to the Boulder Entrance from 8 am - 12 pm Central time. This caving permit is for afternoon entry to the Boulder Entrance from 12 pm Central time to dusk. Snail Shell Cave is one of the most biologically significant cave sites in the Southeastern U.S. In 1999, the cave was named one of the Top 10 Most Endangered Karst Communities by the Karst Waters Institute. A separate camping permit is required in addition to the preserve permit. Clark Entrance to Snail Shell Preserve is closed during hunting season. Camping is not allowed on this Clark Entrance property. 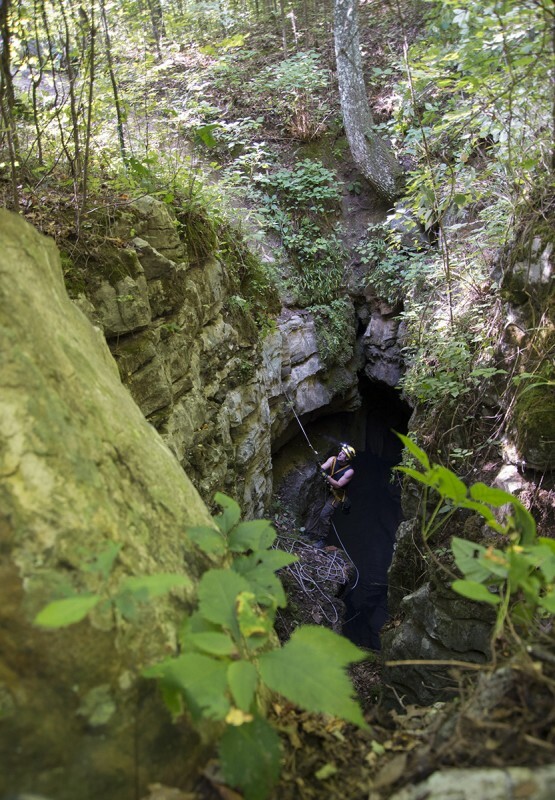 The cave has a beautiful 160-foot entrance pit and more than 2,200 feet of surveyed passage, and has been a popular destination for cavers since its initial exploration by Chattanooga Grotto members in February 1964. NOTE: Once you submit your permit request, you're not done. Everyone in your group must read and sign a liability release. Look for an email with instructions from the permitting system immediately after you request the permit. Designated campsite is on the bluff 75 ft above the pit entrance 0.8 mi from the road. Camping is not allowed in or near the parking area due to security concerns. PLEASE ALLOW AT 7 DAYS TO REVIEW YOUR PERMT. Permit requests in a shorter timeframe will be denied. Steward Spring is a fragile environment that has undergone decades of restoration from vandalism and the work continues. Steward spring is a challenging cave and may not be well-suited for beginners. Visitors will get wet just a short distance inside the entrance. Steward Spring Cave (AL 871) contains more than 15,000 feet of nicely decorated stream passage, along with an abundance of cave life. The cave was severely vandalized in the 1980s, and was later gated to end the abuse and allow restoration work to begin. Much of the damage has been repaired, but efforts are ongoing and will take years to complete. Tumbling Rock is a favorite cave of people of all ages. It is one of SCCi's most visited preserves. Any one entering the cave must have a helmet, helmet light and appropriate shoes. Please plan your trip to be out of the cave by 10 pm Central Time. This permit is for camping at the Tumbling Rock Preserve and must be accompanied by a cave entry permit. Camping is NOT allowed unless you are entering Tumbling Rock Cave. As a courtesy to the family living in the house next to the cave entrance and camping area, please plan your camping trip to arrive before 10 pm Central Time, and please plan to be out of the cave by 10 pm. 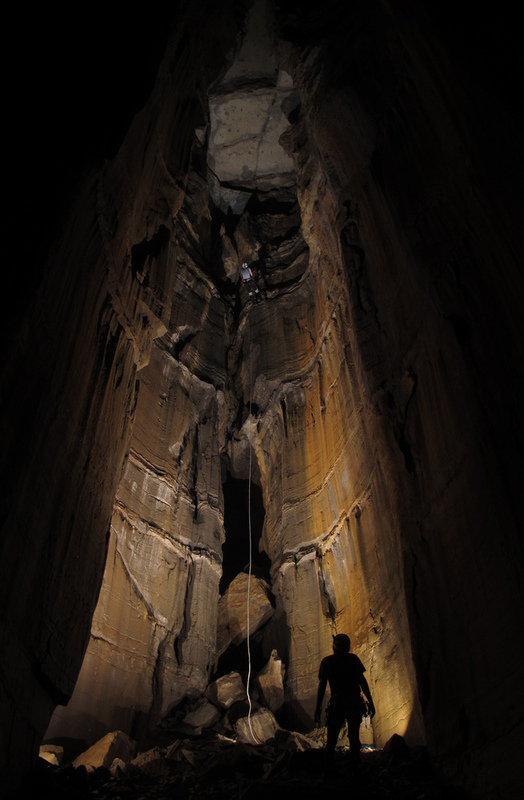 With its beautiful 227-foot entrance pitch and over a mile of cave at the bottom, Valhalla is one of the finest pit caves in the southeastern United States. NOTE: If you are requesting a permit far in advance, your permit may not be approved until closer to your visit date. Valhalla's gate code changes regularly and we want to ensure you have the most recent gate code. This is a preserve only (above ground) permit for Valhalla. It is to be used when cave entry is not required. This permit is for entry into caves other than Valhalla on the Valhalla Cave Preserve. Varnedoe Cave is located within the city limits of Huntsville, Alabama and is one of the more popular multi-drop caves in the southeast. Note: specialized rope skills are required to enter and exit this cave -- do not attempt without proper training and equipment. Wolf River Cave Wolf River Cave is more than eight miles long and is one of the most significant caves in North America in terms of its biology, anthropology, archeology and zoology.